I get Anxious and Jumpy when it comes to food over at Stumpy’s! In 1867, Charles Feltman, a German butcher, opened up the first Coney Island hot dog stand in Brooklyn, New York and sold 3,684 dachshund sausages in a roll during his first year in business He is also credited with the idea of the warm bun. In 1880 a German peddler, Antonoine Feuchtwanger, sold hot sausages in the streets of St. Louis, Missouri. He would supply white gloves with each purchase so that his customers would not burn their hands while eating the sausage. He saw his profits going down because the customers kept taking the gloves and walking off with them. His wife suggested that he put the sausages in a split bun instead. He reportedly asked his brother-in-law, a baker, for help. The baker improvised long soft rolls that fit the meat, thus inventing the hot dog bun. When he did that, the Hot Dog was born. He called them red hots. If you live in the East Coast of the United States then I’m sure you can find a hot dog stand on every corner. Not so much here in the Bay Area of California. 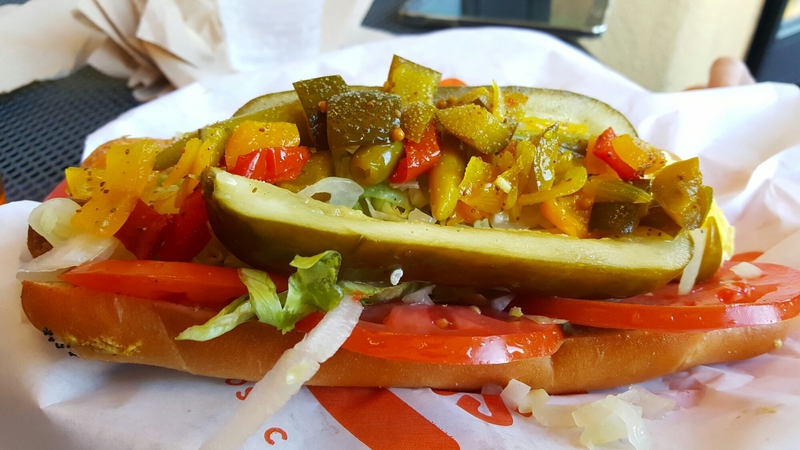 You may find a Wienerschnitzel pretty easy but trying to find a restaurant that actually sells tasty hot dogs is not so easy. Anytime I find a joint that serves these awesome bite size buggers, I am ready to celebrate!